Imagine this: Someone wears a red nose, wine glasses filled before noon, and everyone’s talking about mobile marketing. That was the Mobile Marketing’s 6th mCommerce Summit in NYC last week. I’ll get to the red nose and wine a bit later. First I’ll share some takeaways about mobile marketing from the presenters by sharing it with you the way I saw it. The day kicked off with opening remarks from Mickey Alan Khan, the editor in chief of Mobile Commerce Daily and Mobile Marketer. He stated what we all knew – the year of mobile is no longer coming, it’s already come and here to stay. But he added that 2016 will be the year of mCommerce and the future of all retail is mobile. The presentations that followed backed up his statement. The biggest brands in the US – and globally – are focusing more and more on mobile. Let’s take a look. One of the first things Victor Bataya, IKEA’s global head of mobile solutions, admitted was that IKEA is late to the online party. “People expect to order and get it within two hours,” he said. That’s something the company just can’t do – yet. They are working hard to develop the infrastructure and distribution network so that they can meet those expectations. But they aren’t just sitting around waiting for that to happen either. They are looking forward at what the world of retail will be in the coming years. Bataya said they see a transformation from “multi-channel to omni-channel”. Then he asked the audience what omni-channel meant. You could hear the crickets chirping (even in downtown Manhattan) in response. No one offered a definition. The future of retail is being driven by Generation Z (1992-2011). They grew up in a digital world and likely were swiping on an iPad before they could walk (or clicking mouse buttons for the older ones). They will demand a “unique, relevant, and good customer experience that meets their expectations”. It doesn’t matter what device they use, they expect to get what they need, as fast as they want it, in a consistent fashion. IKEA is planning to provide that, and more. Keep an eye out on their stores and online to see it happen. Next up was, Justin Toupin, director of mobile products and strategy for Walmart. He didn’t give a presentation. Instead he had a “Fireside chat” format where he answered prearranged questions, then took additional questions from the audience. Much of what he talked about was common knowledge – the new Walmart app, and the fact they’ve launched their own mobile payment solution. Basically they are looking to add value to their customers by providing new functionality that helps streamline finding items and the checkout process. In a previous blog I wrote on Walmart, I covered a story where they had begun using SMS messages to connect customers with the products they were looking for in store. His initial comments didn’t address the topic at all, so I asked him for an update on where they were in implementing the capability. Unfortunately, I wasn’t able to get too much information. He said the capability was built on the “Search my store” function already available in their app, and it was a great example of how they are partnering with others to provide the best solutions to customers. Then he said they are still experimenting with the SMS messaging solution developed during the #hackdisrupt event last fall. Walmart already uses SMS messaging for their pharmacy operations – mostly reminders to patients about refills or status updates. They didn’t share any specifics on the topic of SMS though, even when asked. They apparently set a trend for the day as you’ll see below. Going into the summit, Boston Retail Partners was one of a couple of companies I had never heard of before. In short, they are a retail consulting company providing services generally to larger brands. Funnily enough, he picked up where IKEA left off. He gave his answer to what omni-channel meant. Or as he called it: a unified commerce plan. It’s defined to be: a single commerce platform for store, mobile and web. I’d argue he didn’t quite get the omni-channel definition right because I think it involves more than a commerce platform. But he’s a retail consultant so it makes sense for him to look at it that way. He presented the case that mobile commerce is the future of all commerce. I’d share the chart, but the company did not want any content shared. But I can tell you what it said. It showed the percentage of time people spend on mobile versus desktop. In 2015, mobile usage overtook desktop for the first time: 51% of online time was spent on mobile. He called it the “tipping point”. There’s no going back from mobile now. Another interesting fact he shared from their data was that getting a customer’s mobile number is still at the top of the list when it comes to identification methods (for marketing). A mobile number can be used for SMS, payments, beacons, and more. Obviously the more information you collect the better, but a mobile number is one of the most valuable pieces you can get. Jonathan Pelosi, head of industry and mobile apps for Google spoke next. His presentation was completely focused on mobile apps. His work at Google is helping customers (top Fortune 1000 companies) have strong mobile app strategies. Keep an eye on the actions you want, don’t use simple metrics like “installs” – because what happens after? The last bullet was probably something he pushed the hardest. So hard I’m going to talk about it at length in another blog sometime in the next few weeks. Check back to read all about it. Pretty much every presenter focused their discussion on the omni-channel experience (from their own perspective). Nissan was one of the few to break the pattern. Robert Brown, senior manager for interactive marketing for Nissan, took us on a “deep dive” to learn about their Die Hard fan app. The app let’s fans of 100 top rated college American Football teams “virtually” paint their faces with team colours and designs. Fans can share their faces with friends and social media. The promo video below shows the concept. It’s actually pretty neat because the person can move their face or make expressions and the “paint” moves with them! Brown announced that over 40 million faces have been tried on. Nissan has a long history with American football. They’ve been a longtime partner in the Heisman trophy process which recognises the best quarterback in the league. So while the app wasn’t an mCommerce app (you can’t buy a car over the Internet-yet! ), it was designed to promote the Nissan brand. Their analysis showed that 68% of users had unaided recognition. That means they knew Nissan was behind the app without having any additional information provided. He seemed rather pleased with that result. Brown was asked if they were able to trace any kinds of sales back to the app usage (which has only been out for a few months). He said no, they couldn’t because the analytics aren’t built in for that yet. But that they hope to turn some of the users into buyers “tomorrow” as most of them are university students. So, eventually, they believe they app will lead to sales. With an opening statement of “The funnel is dead…”, Gwen Murray, a mobile marketing lead for Staples gave another perspective on the theme of the day: omni-channel. “Whatever you want to call it, we all believe technology will get us there”, she said. Murray went on to talk about how Staples gets their inspiration for new services to enhance the customer experience. She wrapped up with a short video on a pilot program they are running called Staples Easy System. You’ve probably seen their ads where they have a red button with the words “easy” on it. Someone in the ad is usually struggling to complete some office oriented task, but then someone wiser simply pushes the easy button. Suddenly the task is done, all thanks to Staples. Their pilot program takes what was once a marketing concept and turns it into reality. They have a voice enabled easy button ready to take orders from anyone in the office. Actually, watch the video since the easy button is just one aspect of the program. The system accepts orders via SMS too – though the presentation was limited to what was in the video. But there’ll be a future blog walking through the process, just wait and see. I promised you red noses, and this is where they come in. Walgreens’ Red Nose day was held on March 26, marked by a two-hour television event of comedy. Karik Subramanian, director of mobile product, APIs and innovation programs at Walgreens came on stage with his red nose on – even though it was May 5th. The program raises money to help children in poverty and it lasts long beyond the one-day event. After asking us all to go buy a red nose to support their cause, he jumped right into the omni-channel discussion (and removed the red nose). He reflected that to achieve the omni-channel (however you define it) you need an experience strategy, not a fulfillment strategy. It’s about more than getting people through a shopping cart. As an example, you can look at their SMS prescription reminders. The program works because it keeps people healthy and it’s convenient for their customers. It offers a better experience for them, which in turn brings loyalty to the brand. He said that in their analysis, they’ve found people who interact with the brand on mobile, desktop and in-store spend 6 times as much as those who shop in-store only. I’d say however they are defining omni-channel, it’s working for them! “Delivering WOW and happiness through personal emotional connections and our passionate service to our customers”. 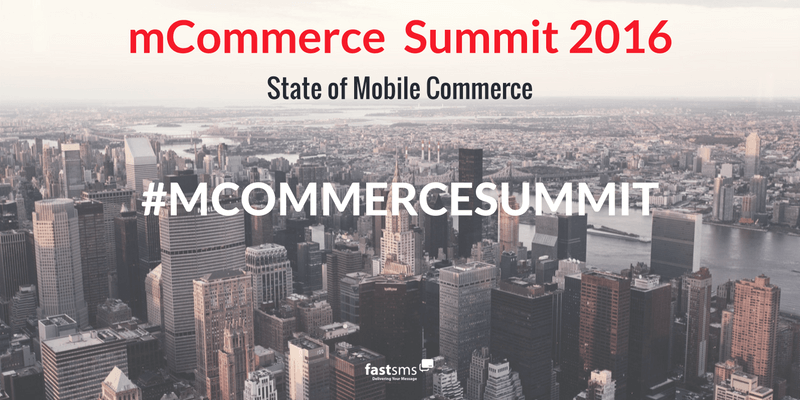 But the summit topic is mCommerce, so how does that relate to mobile or apps? First off, they make their apps fun. If you download the Zappos app and add something to the cart, you’ll see a silly animation. You can choose whether it is a cat, dog or robot. If you scan your credit card into the app, it shows an image of a cat with laser eyes performing the scan. But beyond the fun, they just make it easy to use and easy to connect with customer service. For example, many apps hide the contact information – some don’t even bother to include anything other than an email address. Zappos does it differently. They don’t just give you the phone number to call them, they make it easy by taking advantage of the phone included on your device! Simply touch the “tap to call” on the main page of the app and you’ll be connected to customer service directly over your phone. No number to hunt for, or remember when you switch to the phone app. One click and you’re connected. If you’ve ever been frustrated trying to get help from a mobile app, you’ll appreciate their approach! Those are the words running through my mind when Nora Sun and Pialy Aditya of Sears Shop Your Way started speaking. But what followed wasn’t an off-topic Monty Python sketch. Instead, they presented their new app called Fount. But it isn’t any old app. It’s actually a social network (which is where it went completely different!). They are trying to do what Instagram and Pinterest haven’t been able to do effectively – monetize all that sharing. In the Fount app, people share images of the things they love – shoes, gardening, cats or whatever. If you happen to like the shoes someone shared, you simply click on the picture and you’ll see a variety of ways you can purchase them. Even if Sears doesn’t carry the product. It was a bit confusing, but the app is part of Shop Your Way rewards, which is technically an independent loyalty program. So Fount is designed to give rewards members ways to purchase the things they love, and get reward points for them, even if Sears isn’t the merchant they buy from. So far, they have 65 major retailers that support their universal shopping cart. About 40 retailers are included in the app that don’t support it, so they are sent to the retailer’s shopping cart to finish the purchase. The app launched just a few weeks ago. Time will tell if they succeed where others have failed. One final presentation I’ll mention is from Gilad Bechar of Moburst. The company sponsored the lunch at the summit, and he spoke while we ate. His company is a mobile marketing agency. I’d love to tell you a lot about what he said and what they do, but I don’t think I’ve ever heard a presentation given so fast (yet take so long). Towards the end of his presentation he offered some examples of how they help companies get more app downloads. It’s actually a very simple, but effective change. They take the app preview images usually shown on the download page and spice them up. They create a story with the images rather than simple screenshots. Take a look at the image below for an example. It’s a simple concept, but it would take skill to execute. If you’re looking to launch an app, or to improve the performance of an existing one you may want to check them out. That finishes the almost play-by-play for the mCommerce Summit last week. Well, not quite. I did say something about wine. Call me old-fashioned, but wine before noon is a bit early for me. But then I’ve only been to a few of these marketing conferences so perhaps it isn’t that unusual. Around 11:30 a.m. though, the wine bottles were open and cups were being filled. I think a good time was had by all, whether they drank the wine, water, or soda provided. I know I learned a lot, and heard all different perspectives about omni-channels and mobile marketing. Be sure to check back to see more specific blogs on a few of these topics in the coming weeks. SMS Strategies and A Call to Arms! There can be no one involved in business today - from production to marketing - who would defend one isolated strategy for reaching target markets and effectively engaging with them. In an increasingly individualistic and atomized society, today's consumers discover and engage with brands through a wide variety of mediums and connectors. Do You Ever Unplug From Your Mobile? While it’s undeniable technology is a growing part of our everyday lives, it may be surprising how few of us ever turn it off. Or leave it behind. Most people rarely 'unplug' from their mobile devices. This provides unparallelled opportunities for marketing, especially via SMS text messaging. Across the web there are many articles predicting the future of mobile and SMS. I picked the most interesting one (to me anyway) to focus on for the first blog of 2015.